Jaipur : Following the digital India dream of Government of India, BSNL has offered free E-Mail Address service in 8 Indian Languages to its broadband users by launching a ‘DataMail’ service. Now BSNL broadband users will be able to open an email ID in DataMail service in their own language. 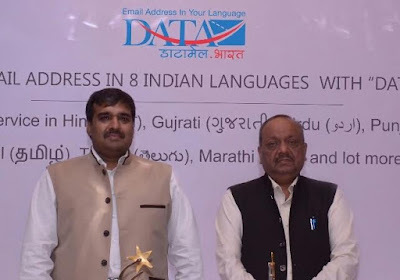 “The linguistic email service offered by BSNL will have DataOne.Bharat domain and email address will be offered in eight regional languages including Hindi, Gujarati, Urdu, Punjabi, Tamil, Telugu, Bengali and Marathi. DataMail is free to be downloaded from any Android or iOS system through their respective play store” announced N. K Gupta – Director CFA, BSNL in his statement. Few months back, Government of India had launched Dot Bharat domain in Indian languages to increase the reach of internet users by providing domain names in their own language so as to cover over 70% of the country’s population living in the rural and remote areas. BSNL is also known for its network in the rural and remote India especially in 2G and 3G data. 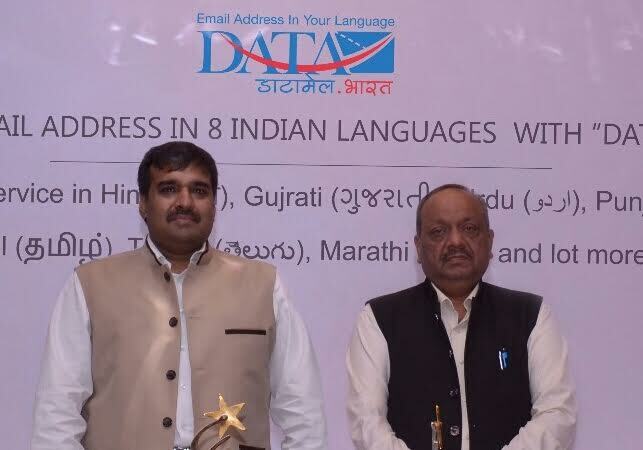 Launching free linguistic Email address service for its millions of customers is another strong step on fulfilling the dream of digital India taken by the Govt. of India Enterprise, BSNL. As per Indian Telecom Services Performance Indicators Report (April-June, 2016) released by TRAI, total internet subscribers in India is about 350.48 million which is just about 30 percent of the country’s population. So, about 70 percent of population is not having access to the internet and most of these belong to rural India. On the other side, Indian languages account for less than 0.1 per cent content on world wide web. Also, over 89 per cent population is non-English speaking and unable to read and communicate via email as the language utilised to communicate is English. The most spoken languages in India in 2016, according to our analysis based on secondary data, are approximately Hindi (544.39m), Bengali (107.60m), Telugu (95.40m), Marathi (92.74m), Tamil (78.41m), Urdu (66.47m), Gujarati (59.44m), Kannada (48.96m), Punjabi (37.55m), Assamese (16.98m). The total of population using these key languages comes about 1147.95m that is a larger share of current population in India.